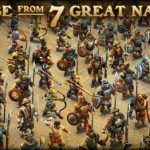 Yes, we’ve got more DomiNations tips for you, and after the general tips and tricks and the quick guide to choosing the best nation, we’re now going to talk about wonders in the Bronze Age. 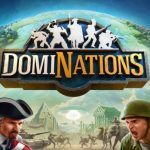 But just in case this is the first time you’re reading about DomiNations, we’ll give you a recap of what the game is about – it’s a brand new NEXON M title designed by the legendary Brian Reynolds for iOS and Android-powered devices. The game focuses on the goal of building a civilization “from the Stone Age to the Space Age.” Along the way, you’ll be entering the Bronze Age, which is where you can start building wonders. But which wonder should you start with? Read on and we’ll tell you. Building the Acropolis would benefit your army by making them more durable in battle. In specific, you get 15 percent more health for your troops, with a spawn time that’s 20 percent shorter. Building the Hanging Gardens will give your resources from fruit trees and gold mines a nice little boost, while allowing you to get resources from there more often than you normally would. Gathering time is reduced by half, and regeneration time slashed by 20 percent. 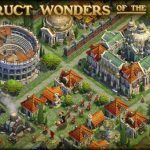 As for resource collection, you gain 20 percent more with this DomiNations wonder. Need a boost for your farms? Build a Pyramid nearby and you’ll give surrounding farms a boost of 20 percent. If you decide to build Stonehenge, this will give you additional gold per caravan collection; that’s 10 percent more gold per caravan, and 100 percent more gold via the road network. As you’ve seen, there are four wonders in the Bronze Age, and each have their own specific benefits. But since we haven’t told you our choice for the best wonder for the Bronze Age, we’ll have to go with the Acropolis, as this would be the wonder giving you the boosts in battle. The Hanging Gardens will also be great due to the wide range of bonuses available, and because these bonuses increase per Age in DomiNations, giving you some long-term benefits.